Home / Entertainment / This actress replaces Saba Qamar in Hindi Medium? This actress replaces Saba Qamar in Hindi Medium? Web Desk: The makers of ‘Hindi Medium’ had confirmed that ‘Hindi Medium 2’ will be produced by T-Series and Maddock Films. The film makers also replaced the casts and director too. 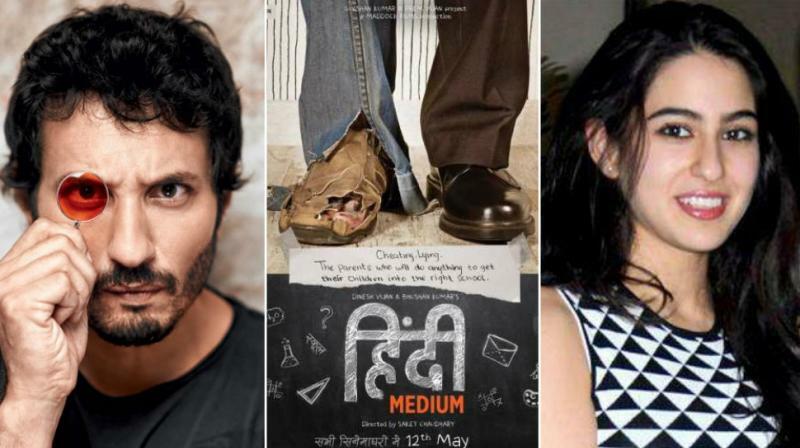 Director Homi Adajania has been finalized to direct the sequel to ‘Hindi Medium’. ‘Hindi Medium’ was a film that fetched Irrfan Khan the Best Actor Award, and therefore, the actor will continue to be part of the sequel. It is reported that the rest of the cast of the film is yet to be finalized. Amrita Singh and Saif Ali Khan’s daughter Sara Ali Khan is being considered to play Irrfan Khan’s daughter. It is still unclear that if Saba Qamar will re-appear in the sequel.